Established in 2015, the Singapore International Commercial Court (SICC) was designed to handle international, high-value commercial disputes. Cases are heard by eminent international judges from around the world. Judgments by the SICC are enforceable through the Hague Convention on Choice of Court Agreements and other reciprocal agreements. Drew has represented clients from several countries in SICC disputes, including US, Indonesia, China, Dubai (UAE), Australia, and Singapore. Our SICC experience also spans several different sectors. BCBC Singapore Pte Ltd and Anor v PT Bayan Resources TBK and Anor (first case heard at the SICC) - Representing PT Bayan Resources Tbk and Bayan International Pte Ltd in a billion dollar dispute between parties from Indonesia and Australia. The dispute arose from alleged breaches of a joint venture agreement for the application of a patented technology to produce and sell upgraded coal from East Kalimantan in Indonesian Borneo. This cross-border dispute has spilled over to the Australian courts and involves Australian, Indonesian and Singapore business interests. The case is before The Honourable Justice Quentin Loh, International Judge Sir Vivian Ramsey and International Judge Anselmo Reyes. 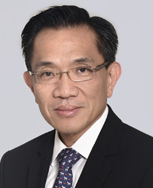 Bachmeer Capital Limited v Ong Chih Ching and Others - Representing KOP Properties Pte Ltd and others against a Hong Kong company in a dispute involving a large scale property development in China. The case is before International Judge Sir Vivian Ramsey. Sheila Kazzaz and Ahmed Kazzaz v Standard Chartered Bank and Others - Representing individuals based in Dubai against Standard Chartered Bank and its officers in a dispute involving the provision of financial services. The case is before International Judge Anselmo Reyes. 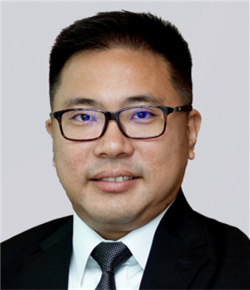 Michael A Baker (executor of the Estate of Chantal Burnison, deceased) v BCS Business Consulting Services Pte Ltd, Marcus Weber and Renslade Holdings Limited - Acting for the Estate of a high net worth individual from the United States (“US”). She was one of the inventors of a chemical compound that is an ingredient in skincare products. This compound is supplied to a well-known US skincare product company that is listed on the NYSE. The action concerns claims of breach of trust and fiduciary duties against a Singapore company, a Swiss individual and a Hong Kong company. The case is before The Honourable Justice Quentin Loh, International Judge Carolyn Berger and International Judge Dominique T. Hascher. Drew’s CEO, Cavinder Bull, SC, was part of the committee that developed the framework for the establishment of the SICC and assisted with the drafting of the first set of Rules and Practice Directions for the SICC. For the 12th successive year, Drew & Napier has the most number of recommended lawyers in Dispute Resolution. 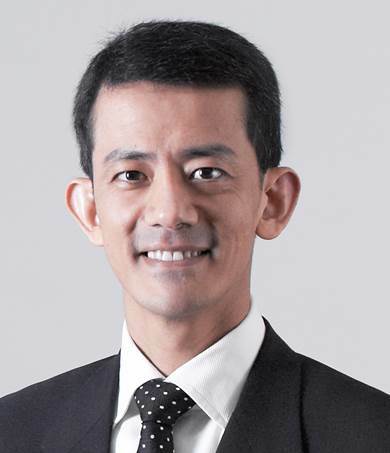 "They have hands-down the best litigation team in Singapore. If I needed to recommend a client to a litigation team in Singapore other than my own firm, I'd recommend Drew & Napier. I think they have good lead partners, lots of experience and a good mid tier as well. The quality is good across the levels because they train them well." "They are exceptionally bright and engaging, and prepared to tailor advice to our specific needs." "What I appreciated about Drew & Napier is that they were quick at delivering work"
They were very responsive and able to get back to us quickly." "They are THE litigation firm in Singapore." "Drew & Napier is our first choice for this work." "It is an outstanding litigation firm. Not only have they demonstrated their advocacy prowess, and their know-how from a civil procedure standpoint, they also have strong ability to understand the internal workings of the clients"
"quality services and sensible, practical advice"
"clear strategies on how to secure your objectives."